ALBANY, NEW YORK - JANUARY 23: U.S. Rep. Kirsten Gillibrand (D-NY) looks on during a news conference announcing her as New York Gov. David A. Paterson's choice to fill the vacant U.S. Senate seat for New York on January 23, 2009 in Albany, New York. 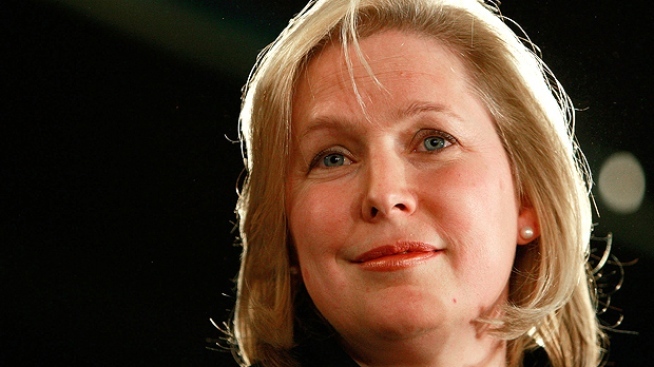 It may be Senator Kirsten Gillibrand's clearest flip-flop so far. In an interview with news 4 New York on Friday, Gillibrand said she would not vote for a bill she sponsored just eight months ago. "Not unless they fix it," She said. It was no secret when Gillibrand co-sponsored the bill HR 4900 just eight months ago that is was widely opposed by Mayor Michael Bloomberg and his coalition of mayors against illegal guns. 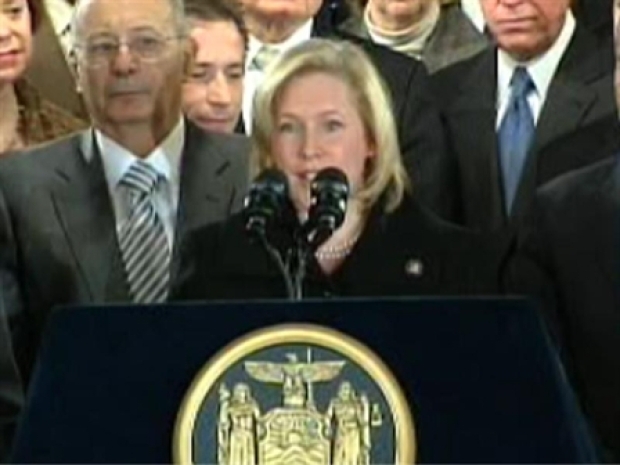 Despite the objections of the mayors and others, Gillibrand never withdrew her support of the bill until now. The Senator told News 4 New York on Friday she was misled by language in the bill that implied it would help law enforcement. Gillibrand said she was unaware when she cosponsored hr 4900 that it would actually hurt. "If a law says it's not supposed to obstruct law enforcement it's not supposed to obstruct law enforcement," Gillibrand said. The new senator says it was Mayor Bloomberg who convinced her of the bill's flaws in a meeting this week. Sen. Gillibrand reverses course on her gun stance in this interview. Congress never ended up voting on HR 4900 but is likely to take up a similar bill this year. Sen. Gillibrand's reversal earned her praise from Bloomberg and drew criticism from the National Rifle Association. An NRA spokesman said "Mayor Bloomberg sold Sen. Gillibrand a bill of goods. Bloomberg is deliberately misleading members of congress and the American public on this issue." A spokesman for the mayor issued the following statement: "We had an encouraging meeting with Sen. Gillibrand on Wednesday, and we are further encouraged by news that she would not again support hr 4900. I encourage Sen. Gillibrand now joins President Obama and her predecessor, Hillary Clinton, in supporting the language introduced by Sen. Menendez to get rid of dangerous restrictions on gun trace data once and for all." Senator Gillibrand is from an upstate hunting family and receives a 100 percent approval rating from the NRA Spokesman Andrew Arulanandam said “It was too early to discuss whether her approval rating would drop because of her reversal on this issue, adding "the fraternal order of police, the bureau of alcohol, tobacco, firearms and explosives (BATFE) and other law enforcement organizations that represent rank-and-file police officers support efforts to keep trace data out of the hands of politicians like Mayor Bloomberg. Prudent people should listen to law enforcement and not to politicians who have a history of not shooting straight on this issue." Gillibrand has been criticized for flip flopping on issues as she moves from representing a conservative upstate district to representing big city issues. She has hinted her positions on guns would "evolve" after becoming senator but has not clearly renounced any of her specific positions until now.